The FBU has praised the efforts of French firefighters, whose actions prevented Notre Dame cathedral from being completely destroyed. 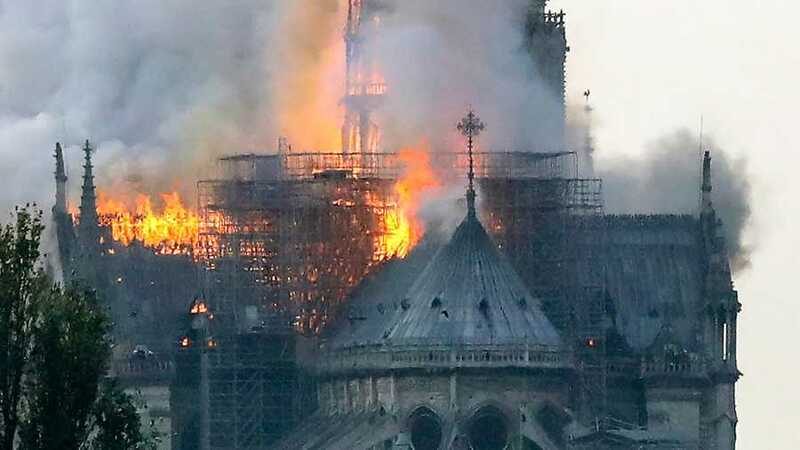 They risked their lives managing to contain the blaze late on Monday night, prompting FBU assistant general secretary Andy Dark to say: “The Notre Dame fire is just the latest example of the fire risk to heritage buildings across the world. These buildings contain a lot of wood in their structure which will be tinder-dry due to age and often have no fire protection. “Stone-buildings are particularly hazardous for firefighters. Stone structures such as pillars and staircases can crack and fail catastrophically without warning when exposed to extremes of heat. The risk of collapse means that firefighters are rarely deployed into such buildings where fires have developed. Firefighters on the ground would weigh the risks against the benefits and a major factor would of course be whether there are people in need rescue. “Watching the footage, it looks like the fire started high up the building near or in the roof. It clearly developed quickly and it appears that the fire had access to open air from an early stage which would mean that much of the heat and smoke would have escaped to atmosphere rather than being contained and pressing downwards or laterally.